The Brac island is Croatia’s third largest island and the largest island in Dalmatia, located in the center of this Dalmatian region. Not only is it the largest island in central Dalmatia, it is also the highest island of all islands in the Adriatic with the highest peak at Vidova Gora where it reaches 778 meters. It is not problematic to reach the top, either by car or by hiking if you are looking for a bit more active vacation, and when you get there you are free to enjoy the view over to the Zlatni Rat Beach on Brac, Hvar island and others. 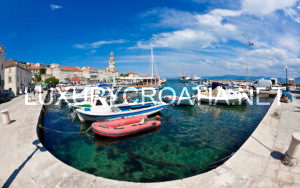 The weather is very sunny on Brac, with around 2700 hours of sun per year. 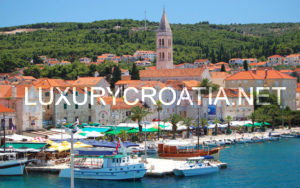 There is a couple of resorts to visit on Brac, such as Supetar, Bol ( the home to the spectacular beach Golden Horn and one of the most famous in the Adriatic), Sutivan, Milna and Sumartin. 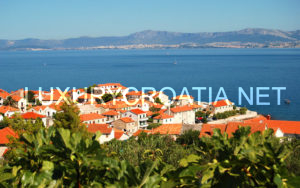 The island is located pretty close to the mainland, especially to the city of Split so you can arrive to the island easily. Brac has its own small airport, open mostly during the summer season, but it is more likely that you would arrive with air traffic to the airport in Split, and then transfer to a ferry from Split to Supetar ( duration is around 50 minutes) . The ferry lines are quite often in the summer time so there shouldn’t be any problems in reaching this island. 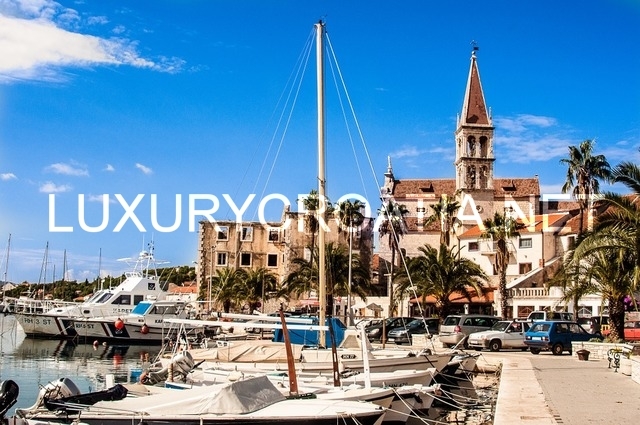 You can also take a catamaran from Split to Bol and arive in 55 minutes, or take a weekly catamaran that runs from Split to Milna for 30 minutes. 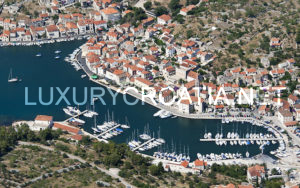 There are other places from where you can get to Brac, such as a ferry form Makarska to Sumartin, or by catamaran from Dubrovnik to Milna in 4 hours and 15 minutes. Once you do get on Brac, the best way to get around is either with your own car or with a bus that runs between all of the major resorts on the island. 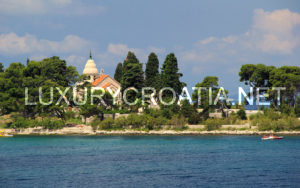 One of the main reasons to visit Brac are its beaches, some of the best in Croatia. The most famous one is Zlatni Rat, or Golden Horn in Bol, a white pebble beach that is certanly one of the most beautiful in Croatia. The beach streches out into the Hvar Channel, where the top of the shape of the beach changes its shape because of the strong currents in that part of the sea, the tide and the winds.. This specific phenomena made it a symbol of Croatian tourism. Other beaches on Brac are pebble, rocky and some places even sandy, such as the Lovrecine, Paklina in Bol, Murvica, Osibova Bay near Milna and others. Brac is also famous for their high quality decorative stonework that has built many buildings world wide, inluding even the White House in Washington D.C., Catholic cathedral in Liverpool and even the Diocletian’s Palace in Split and the cathedral in Trogir. The island known for fishing will offer many fresh sea food specialties, as well as agricultural products , fresh and locally grown vegetables and fruits. There are good wines to taste, olive oil that Brac is famous for, sour cherries, nectarines, figs, almonds and other fruits that are just so full of taste. If you are more of a meat lover, you will for sure be satisfied with lamb meals that you can find anywhere on the island, and for the wine list, you can choose from different sorts such as Plavac mali, Posip, Vugava, Chardonnay or Merlot.